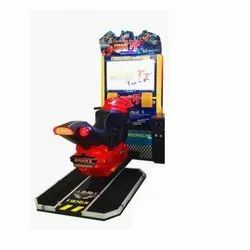 Our Virtual Reality Standing Roller Coaster is the best in the market and provides great experience and better than any Virtual Reality Rides, Virtual Reality Game, Virtual Reality Game Machine, Video Arcade Game, Arcade Game and VR Video Arcade Game. 100% new LG/ Sumsung screen Japanese potentiometer Waterproof matt sticker. 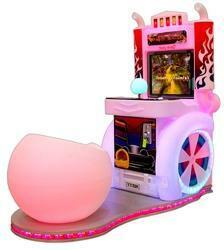 Amusement Rider Indoor is a indoor machine game available in single and double player. Viewers just need to put on VR glasses and then go into the world of the Virtual reality. It breaks the limit of virtual and real world and gives viewers an amazing experience. Clients can avail from us an extensive range of Manx TT Video Game. Apart from this, clients can avail this range from us at market leading rates.